Peggy Sutton, owner and founder of To Your Health Sprouted Flour, makes a return visit to The Appropriate Omnivore. As her company has just released a line of einkorn grains and flour, she brings Jade Koyle to talk about einkorn with her. 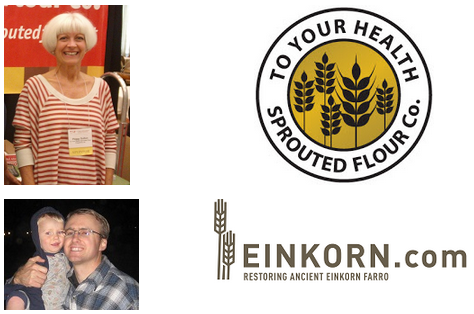 Jade is the President of Einkorn.com, the supplier of To Your Health’s einkorn products. Peggy and Jade talk about how einkorn is the original wheat and its gluten content is different than all other forms of wheat. It’s an heirloom grain, meaning it’s not hybridized like modern what. Peggy and Jade also mention what their favorite foods are to bake with einkorn flour. They explain how it differs from other flours and what you need to do to bake the tastiest breads and desserts with this wonderful ancient grain.